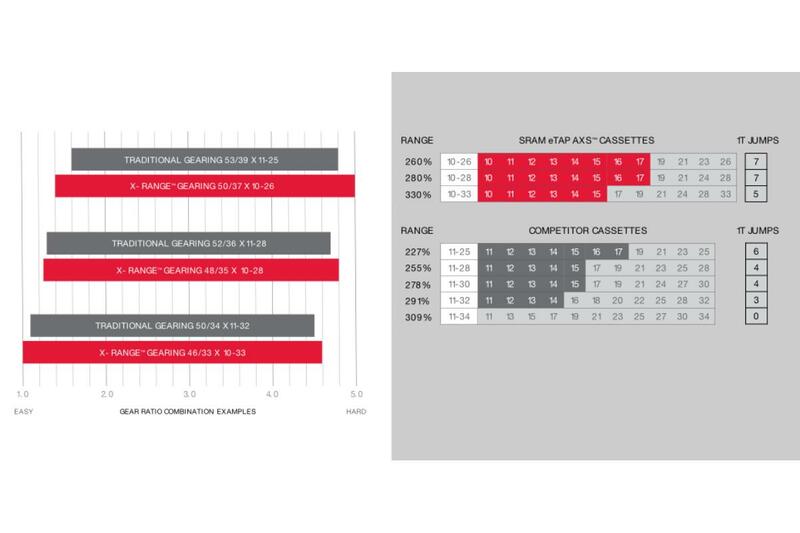 SRAM have unveiled their new eTap AXS groupset family. 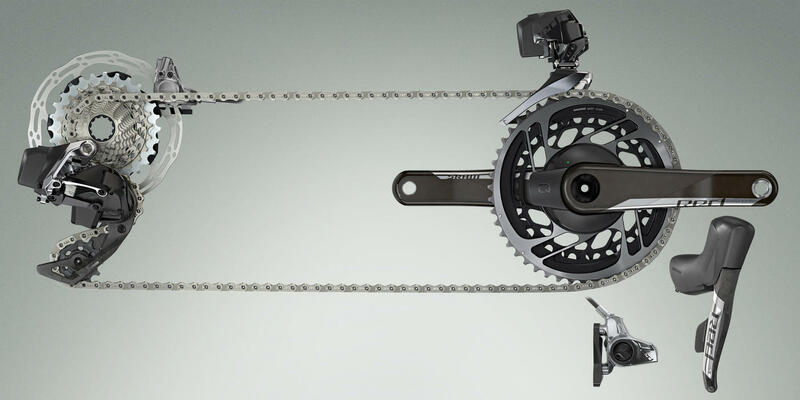 The launch of a new groupset is always interesting, but this one is particularly exciting. Our Head of Bike Fitting, Dan, got to experience the new system first-hand at the European launch at SRAM's HQ in Germany, and he was very impressed with the speed and fluidity of the shifting. 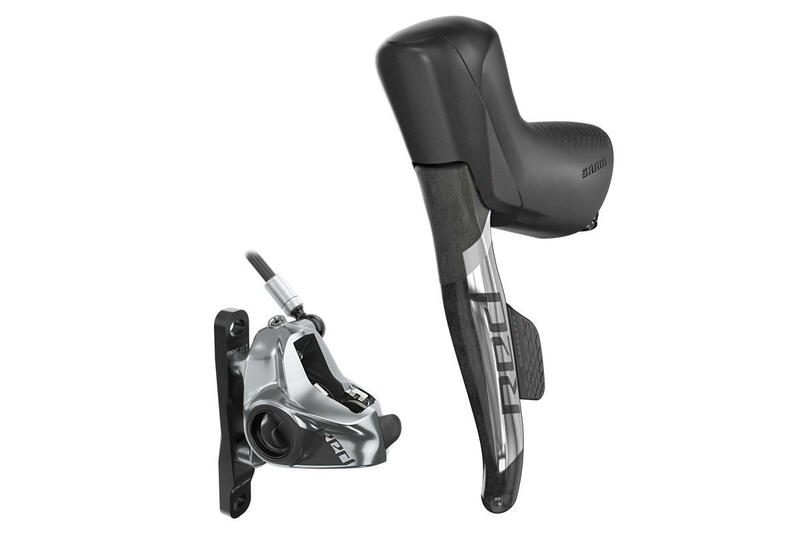 SRAM RED eTap AXS is available to order now and the first stock will be with us soon. We expect initial supplies to be limited, so contact us to pre-order now if you want to be one of the first to experience this new gruppo. You can also expect to see it appearing on "off the peg" complete bikes over the coming months. 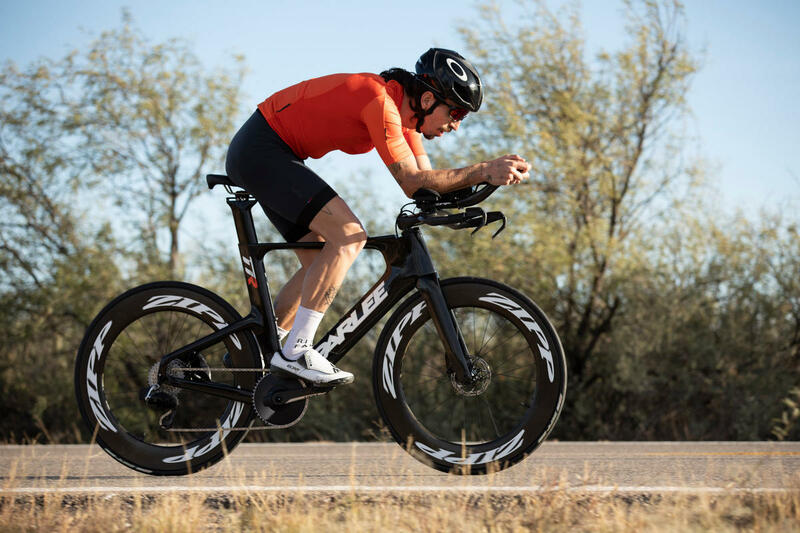 Our friends at Parlee have had a pre-release set for testing for some time, and it really blew them away with its performance (and they know a thing or two about precision engineering). 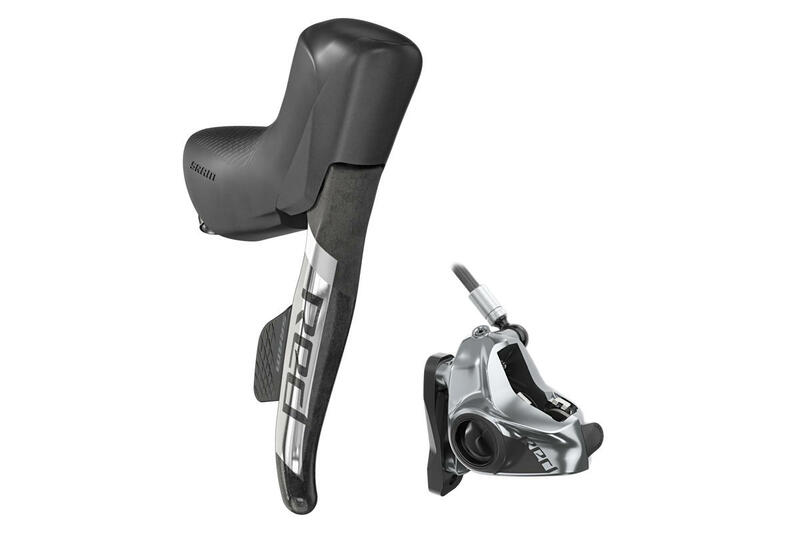 SRAM Force eTap AXS will be launching in April 2019, more details to follow. 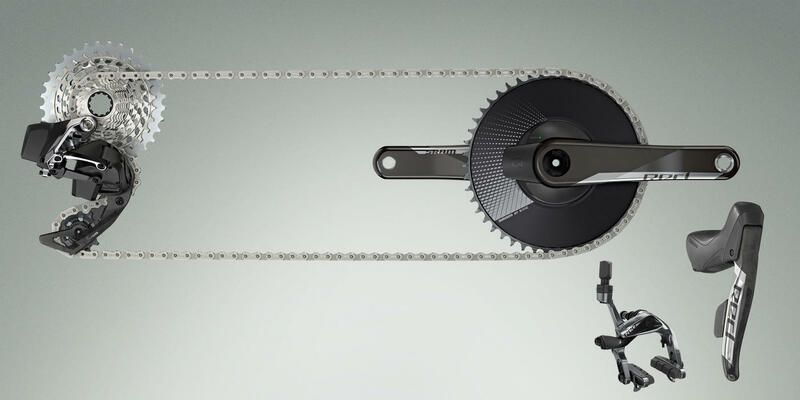 SRAM haven't simply stuck an extra cog on the back to make a 12 speed groupset. They've rethought the front and rear drivetrain components completely, to give what they refer to as X-Range gearing. 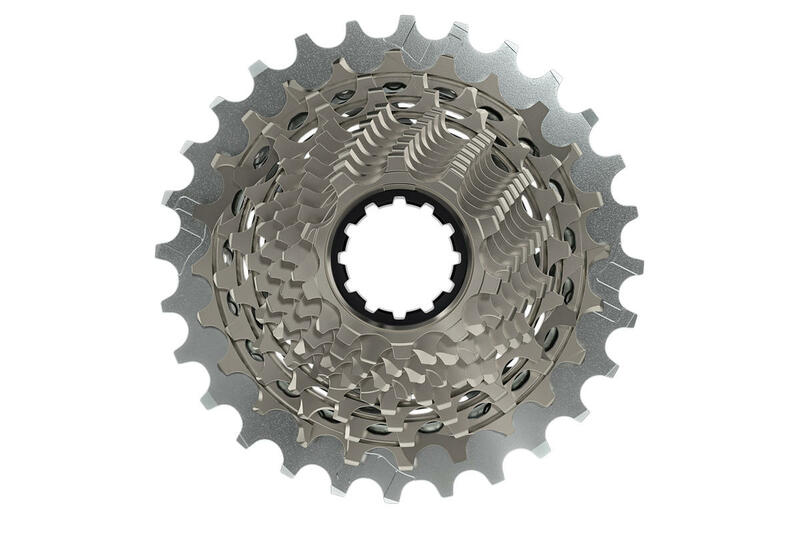 This gives a wider gear range than a conventional setup but without introducing any unpleasant gaps between gears - in fact they've been able to provide more 1-tooth jumps between gears than on a traditional system. All of the new X-Range cranksets are compatible with any of the X-Range cassettes, so you can mix and match to find the perfect combination for any style of riding. One of our favourite things about AXS is that it has been designed with an eye on the future, SRAM have taken into account the wide range of different riding styles that modern cyclists encompass and built a groupset that can handle them all with ease. 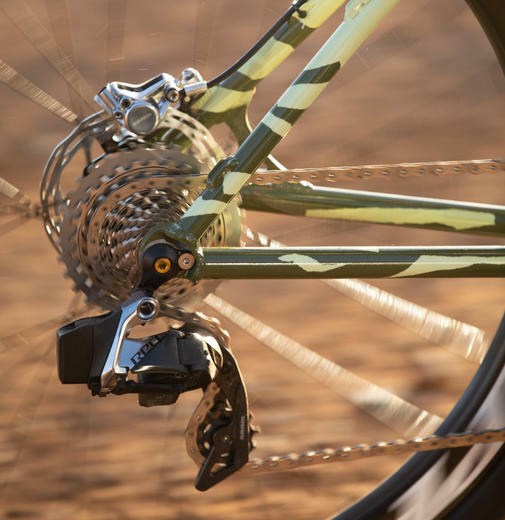 One rear derailleur handles every combination. This is welcome news, meaning you can opt for a 2x setup, then change to 1x later without needing to swap out components. Likewise the front mech will work with any rear cassette combo. 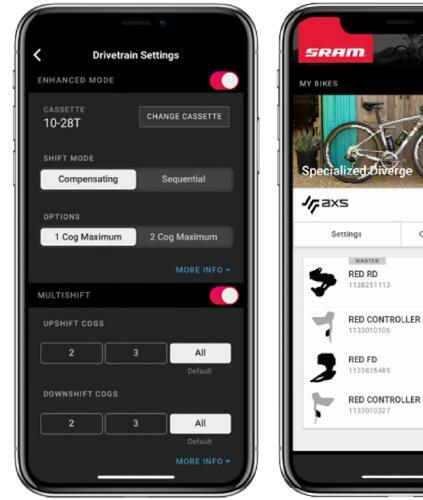 Flexibility is very much the name of the game here - we're very pleased to see that SRAM are maximising compatibility rather than making change for change's sake. Even the brake disc rotors have been updated, to the new Centerline XR model, making them more road-focused and aerodynamic, quieter and with rounded edges for added safety. AXS (pronounced "Access") is of course a fully wireless drivetrain system, keeping cable clutter to a minimum. That means no wires or cables for shifting, only for braking. You have full control over configuration via the AXS app, giving you the ability to assign shifting actions to different buttons as required. Sequential - Activates the next available gear using the assigned upshift and downshift buttons. 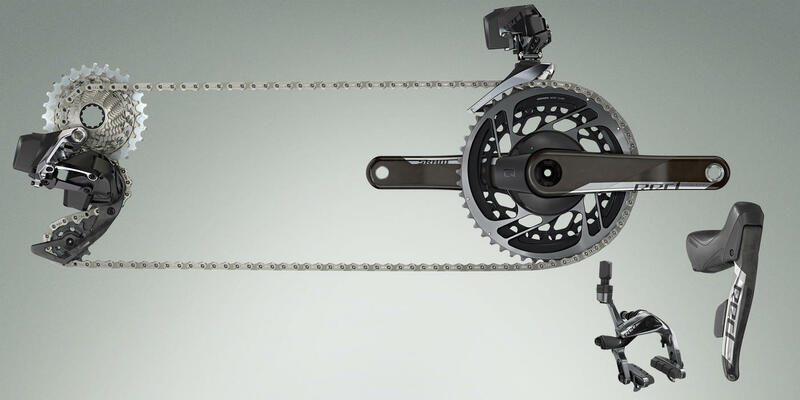 Automatic actuation of the front derailleur keeps your gear ratio and pedaling cadence steady. You can still manually command a front shift. Compensating - Smooths gear transitions. 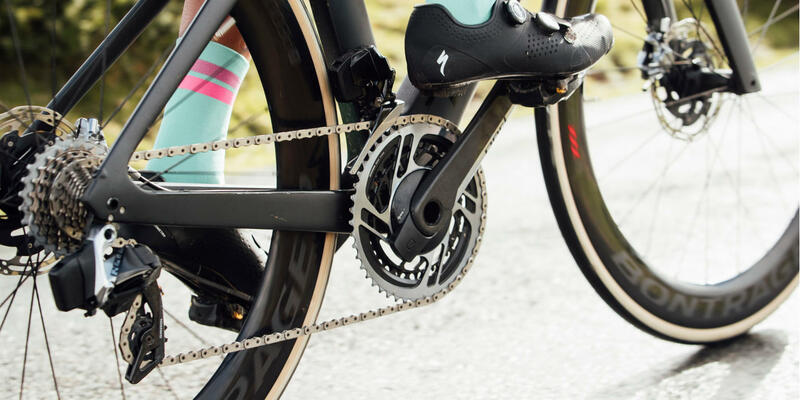 When a front gear change is performed, the rear derailleur compensates for the large change in gear ratio by shifting 1 or 2 cogs, keeping your pedaling cadence steady. 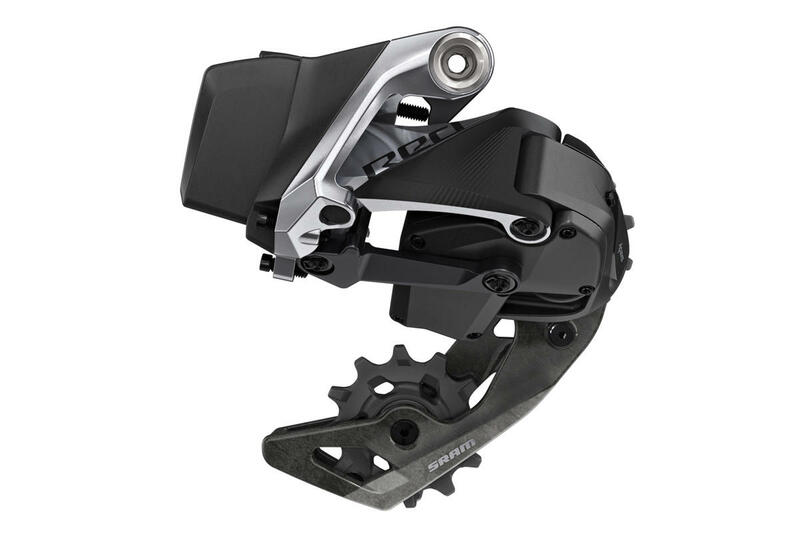 The rear derailleur uses SRAM's "Orbit" chain management to minimise chain bounce and ensure crisp shifting whether at lower speeds, under load, or on rough terrain. Rather than a clutch system, which can arguably increase drag, it uses a fluid damper to maintain even tension. Certainly based on initial rider reports it is doing a good job, we've found it to be noticeably smoother and quicker shifting than comparable groupsets from other brands. Of course a narrower chain is needed when adding cogs to the cassette. 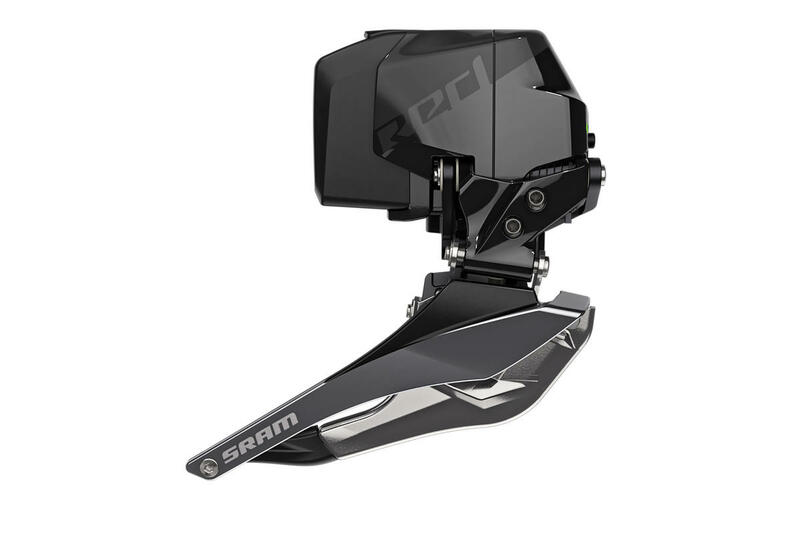 SRAM haven't simply thinned out an existing design, they went back to the drawing board and came up with a new shape that they're calling FlatTop. This distinctive chain with it's asymmetrical flattened outer profile is designed to be stronger and quieter than a conventional chain despite its slimmer construction. Overall AXS isn't just a small step up in performance, we've found a tangible improvement in the smoothness and accuracy of shifts. 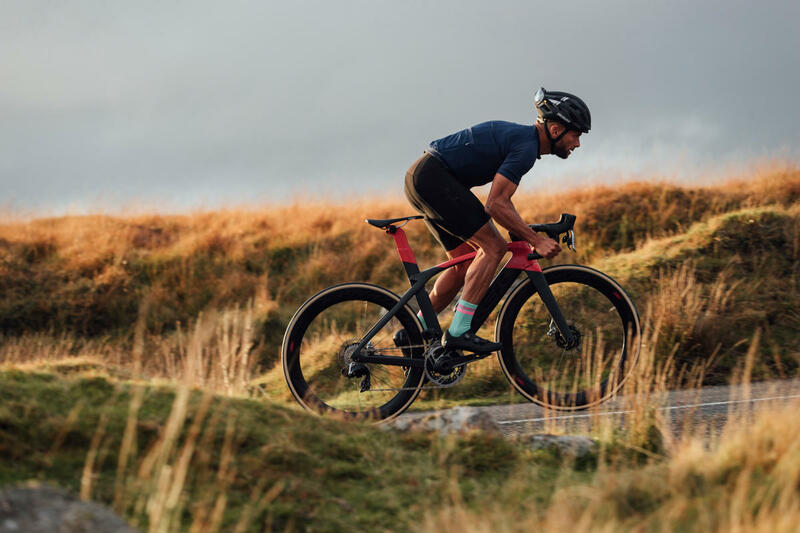 The new wider range cassettes and redesigned derailleurs combine with a host of updates throughout the drivetrain, and the end result is that you're simply more likely to always be in the right gear at any given moment. We're looking forwards to putting some serious miles on this stunning groupset, so keep an eye out for blog updates. Meanwhile, if you are tempted to try it for yourself, don't hang around - initial supplies are likely to be limited, so contact us now to reserve a set for your build. We take an in-depth look at the pros and cons of 1x and 2x drivetrains for gravel and adventure bikes. Three major Aero Road bike launches in one week!